pint-sized mama: Life of a Pint-Sized Mama's Holiday Gift Guide & Must Read Blogs! Life of a Pint-Sized Mama's Holiday Gift Guide & Must Read Blogs! If you are still looking for some gifts for the holidays, I'm excited to share with you my holiday gift guide and must read blogs! You'll find things like custom Christmas card design, an adorable advent printable, and gift ideas for him, her, and your little ones! What's not to love? So browse through these great gift options - and enjoy several exclusive discounts for Life of a Pint-Sized Mama readers! The Mom Diggity is one of my favorite blogs - and I had the privilege to meet KK in October! She is real, funny, and passionate, and I look up to her in many ways. If you're a woman, a mom, or a mom to be, The Mom Diggity is a must-read! KK is a busy mom to a 2 year old, 1 year old and pregnant with #3. Her life is filled with lots of pink and princesses, and she adores being a girl mama. 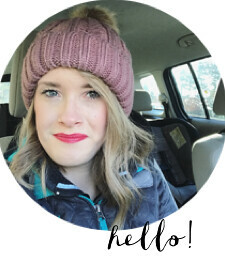 She writes at The Mom Diggity and shares about her wild life with soon to be 3 under 3, and is passionate about encouraging moms to love every moment of motherhood...even the messy ones. Hi...my name is Stephanie, and my blog is called LifeCreated. I talk about a lot of fun topics like DIY projects, family, and my food/product photography. We do a lot of family friendly crafts that kids can take part in, and also have fun with decorating, organization, and completing our doll house. Hi! My name is Bri, and I am an Independent Executive Director with Thirty-One Gifts. I will have been with the company coming up on three years, and I love everything about it. If you haven't heard of this company (or if you have and don't have a consultant of your own), please check it out or feel to contact me. I would love to help you with your shopping needs. I am also a blogging mama over at School in Our Slippers. Stop on over and read about what is going on in our life! Order by December 9th for Christmas delivery. I have always been obsessed with the natural beauty of wood. I love fly-fishing and hiking in the Sierra Nevada Mountains and often come across fallen branches and trees that will rot on the forest floor if not given the chance to be something more. I bring home these natural beauties and let the wood tell me what it wants to be. Often coasters, candle holders, necklaces, Christmas ornaments and more are crafted from these reclaimed treasures. Use coupon code CHRISTMAS10 for 10% off at End Grain Wood Shop! Order by December 17th for Christmas delivery. My name is Carly and I am currently pursuing God’s call in my life to become a midwife! I’ve just completed an intensive three month midwifery course, and in February I will complete my midwifery education at a birthing center and education institute in El Paso, TX. To pay for my program in Texas, I am selling Cooking With Carly, a cookbook that is full of my favorite healthy, vegetarian recipes. There is a worldwide shortage for trained midwives and by purchasing a cook book you will be contributing to this global issue! Hi there, I’m Monique and blog over at the lemonade diaries. I’m wife, momma of two crazy kids, student and daughter of the King. On my blog you will find crazy stories about my life, fun diy’s, and recipes. Stop by and say “hi”…I love meeting new people! My shop was born out of the need for comfy, cute headbands for my little girl–my very own little doe-eyed girl. It has since grown to include headbands and fascinators for girls and women too! I love custom orders! Mattie Mae Designs is made up of a mama-daughter duo and it was started out of love. When there’s a precious new baby that is brought into a family, everything changes. That’s how it was for us. We longed for that precious new baby to wear pieces that were made with love, pieces that told a story. And we’re still doing that 3 years later. Mattie Mae Designs’ goal is to create unique and one-of-a-kind pieces for those special moments in your life. Congratulations to the winner of the holiday giveaway, Kerrie Williams! I got to meet Kerrie at the Influence Conference in October and she is one awesome woman. I'm so happy for you :) Enjoy all the goodies! This blog entry made my day! I find it so hard to think of things to put on my Christmas list because I want everything we have to go to our little guy, but this gave me a little motivation. :) Cute mommy gear is always justifiable, amiright? I actually found your blog when I was googling "Jedi robe towel" because my little one has outgrown baby hooded towels but is still too small for regular ones and I remember my old neighbor telling me they existed and that I should get one. I came across your post about being a Harrison Ford fan and it just about made my life. That was so me and my tween years as a Star Wars fanatic. I even gave a speech for school on Mark Hamill, Carrie Fisher, and Harrison Ford. In a Princess Leia costume. Looking back, SO embarrassing but I'm glad I found someone who can understand the depths of that kind of young love, haha! The sad thing is, I still collect Star Wars gear to this day but I keep my obsession way under lock, haha. That was a great post! I love your blog, you son is adorable, and thanks for making me smile!